RAJ has the rich reds of royalty ~ but the heart of a gypsy. 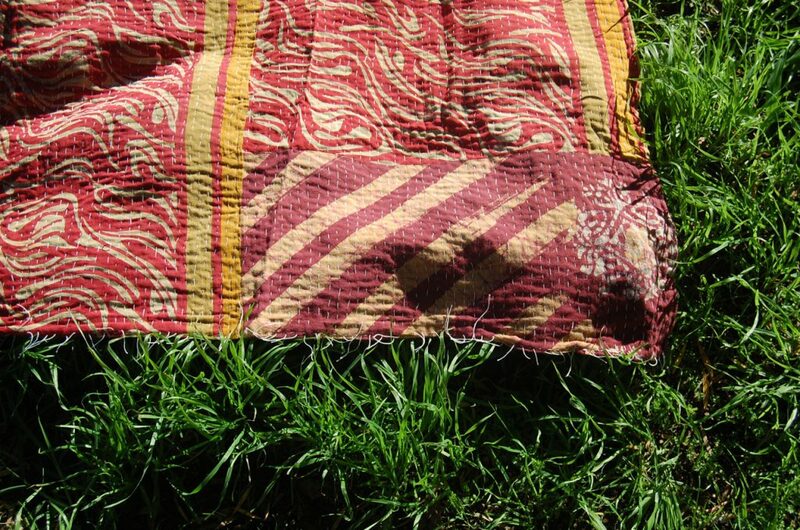 Made from patchworked vintage cotton sarees, this kantha has an elegant colour variation ~ ruby, wine, burgundy… The beautiful kantha texture of this kantha throw, light-weight construction and strong running stitch makes it suitable for a picnic blanket or throw – easy to carry around and the perfect size for picnic in the park for the two of you. 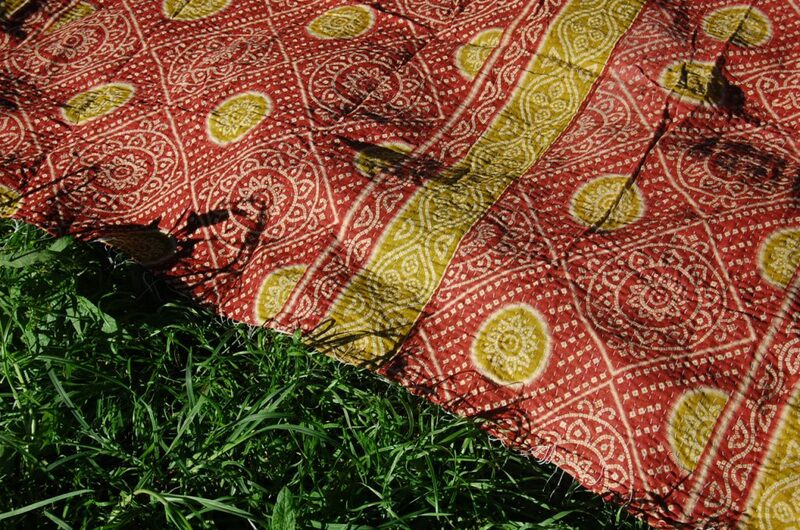 RAJ is available at The Kantha Project shop. 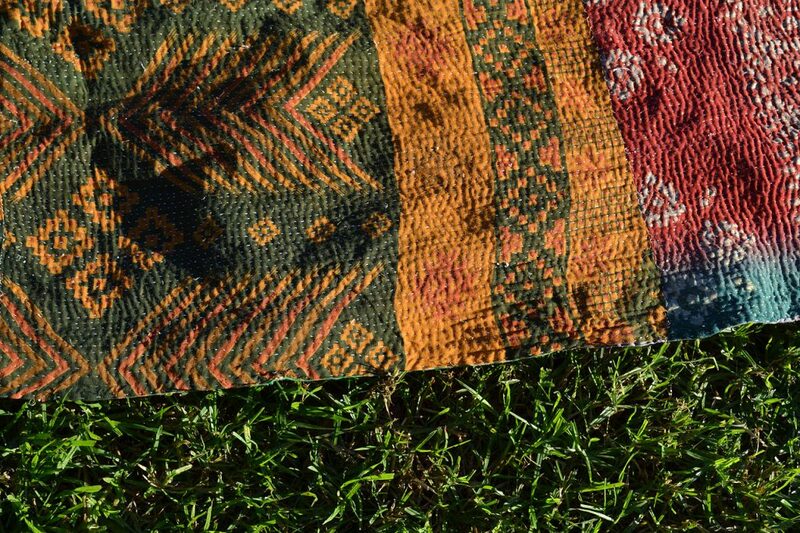 Earthy and inviting, Burma, one of our light weight cotton blankets, has beautiful warm colours of red browns, golden and olive. 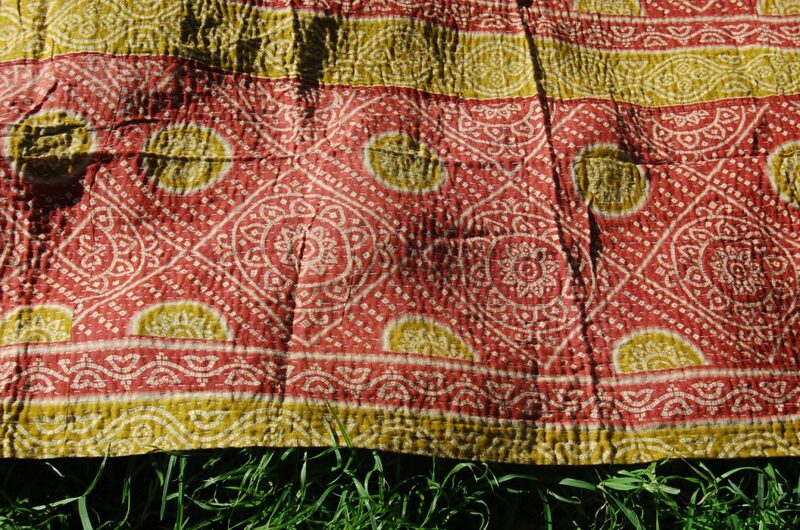 Kantha stitched quilts like this one are abundant in India, with Indian embroidery design using the kantha stitch. 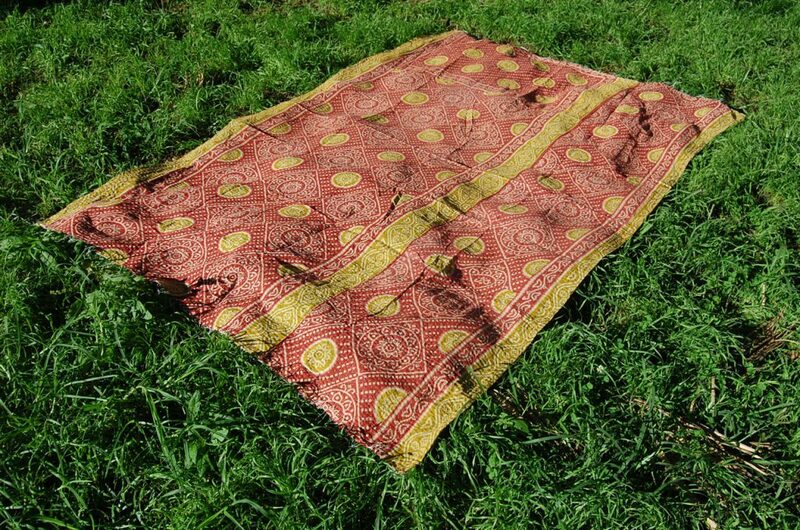 The layers of cotton saree of this kantha throw are lighter, creating a very soft cotton throws construction ideal for draping over a sofa or bed, or even worn as a shawl. 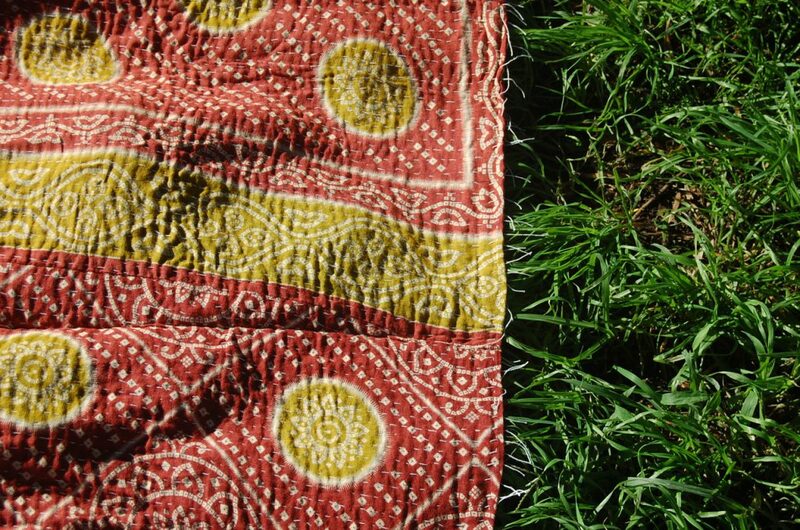 So we’ve covered the most common uses for kantha quilts India – if you haven’t yet read our previous post “Top 5 uses for Kantha quilts” this may be a better introduction. Bring that perfect vibe to a relaxed balmy-night Summer tea party! 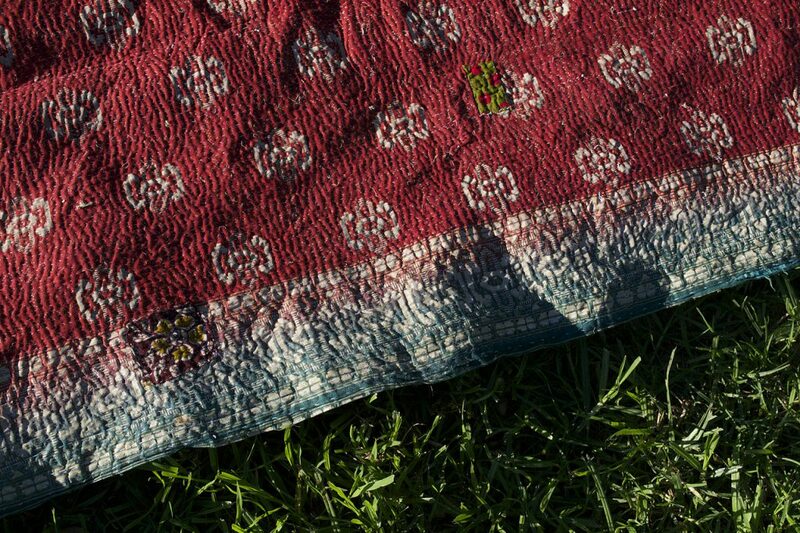 Because there is so much detail in the vintage print of a kantha throw, using it as a tablecloth can really bring this detail forward and in the spotlight! 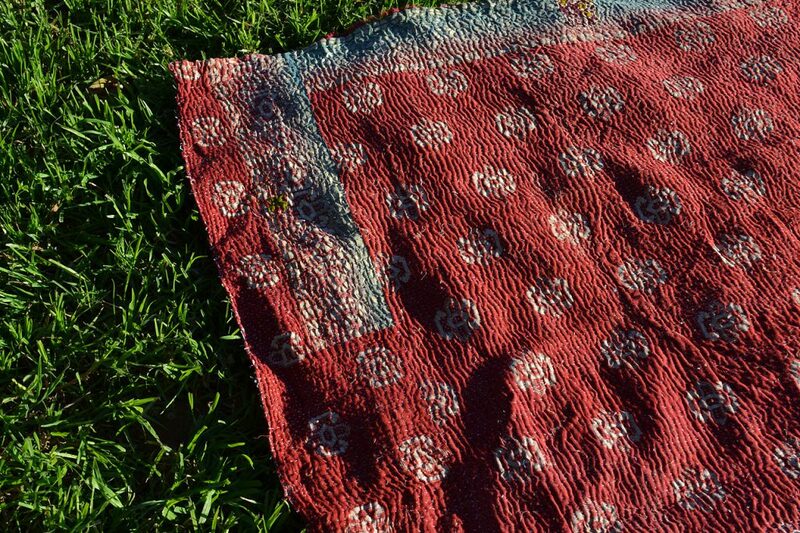 Using a light-medium kantha throw will work best for table tops, allowing the corners to flow nicely off the table. 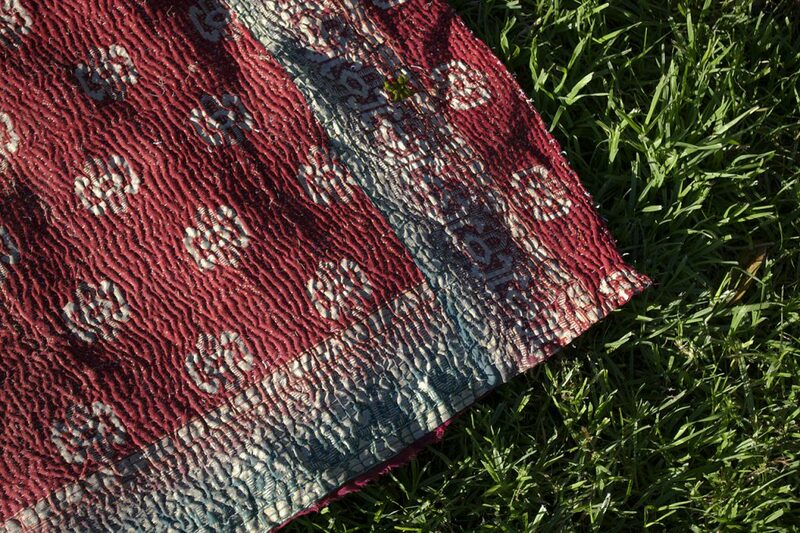 Most are completely machine-washable and they are probably a better choice over a plain tablecloth, as any spills will be barely visible on the vintage ethnic textiles vibrant patterns and patchwork. 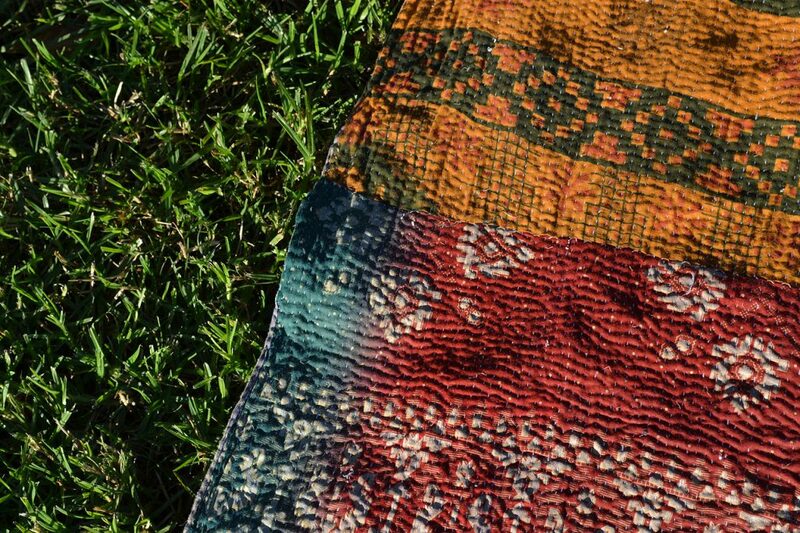 Simply adding curtain clips along any edge of a kantha quilt can instantly turn it into a wonderfully colourful curtain or room divider – with a hippie Indian tapestry vibe. 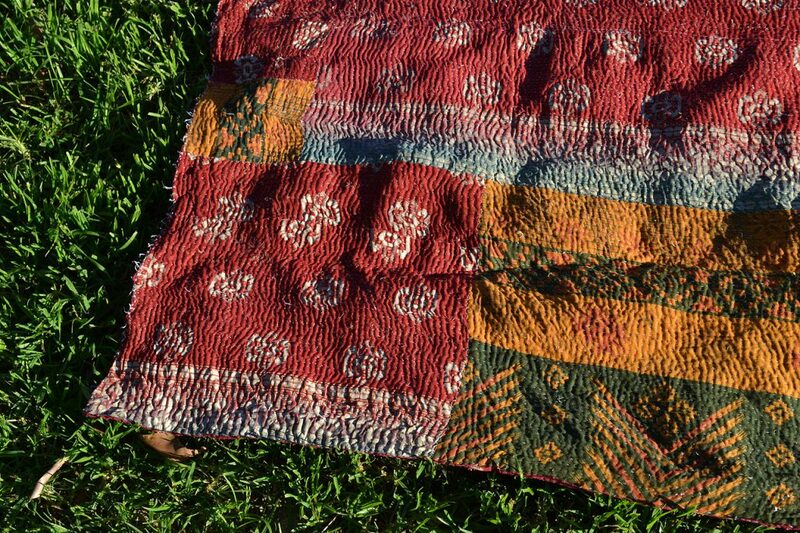 Here at The Kantha Project we like to keep open-minded and let you decide what uses you can get out of our beautiful range of kantha quilts and blankets, leaving them untouched, as-is. 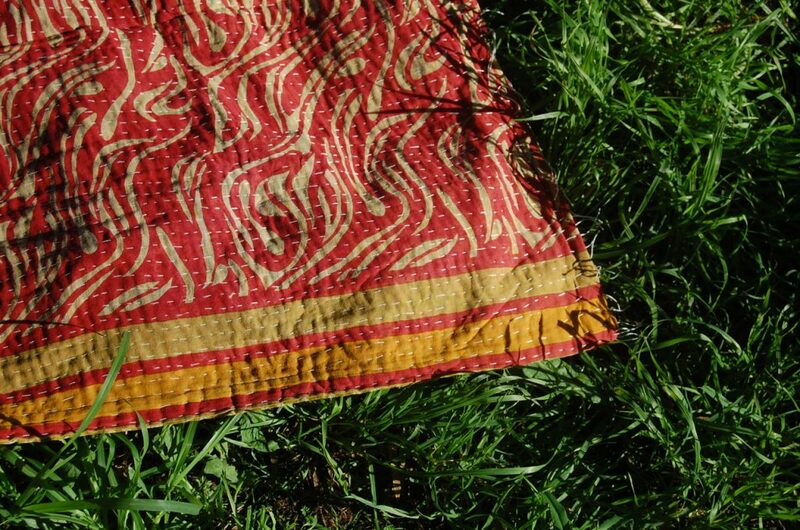 Keep a kantha in your car for extra warmth as a blanket, a picnic rug or even to bring personality and colour into your car. 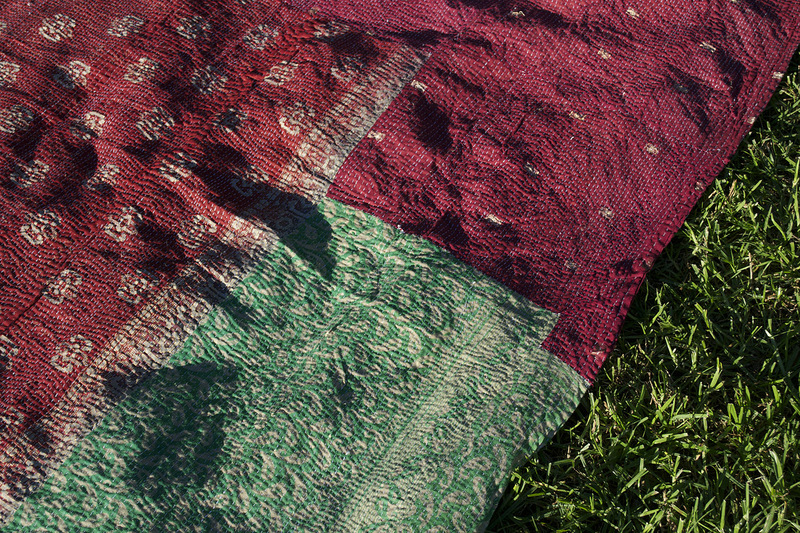 Cover the back seat with a colourful kantha, throw a kantha on the front seat and drive! Chilly night? A little too breezy? 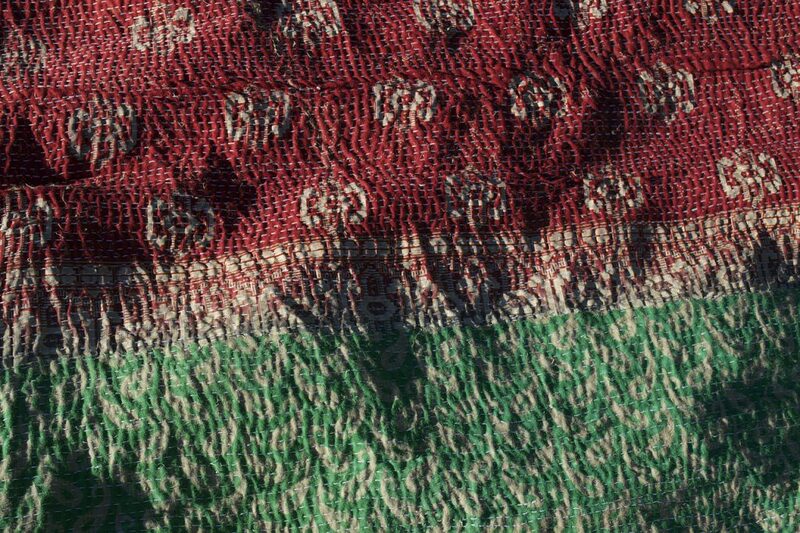 Swap your jacket for something a little more fun – a kantha around your shoulders will give much warmth due to the insulation created by the various cotton layers – it’s a poncho-like, cape-y, wearable blanket sort of deal. 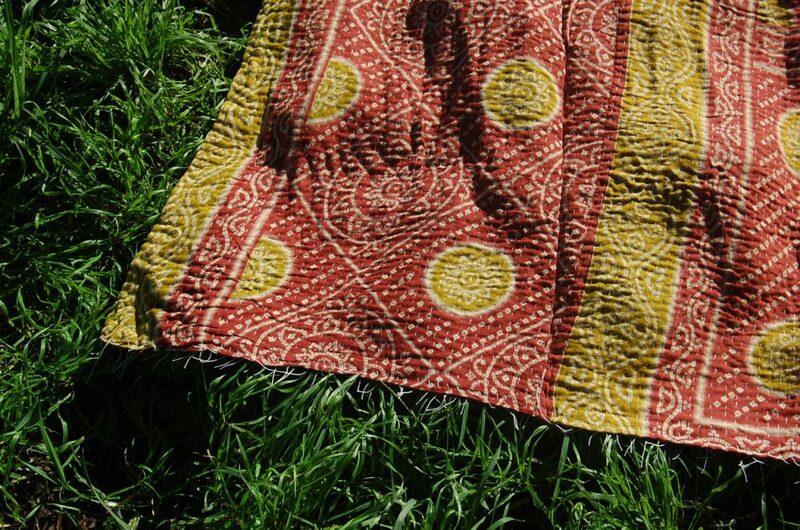 Plus, vintage ethnic textiles are all the rage. Babies love colour! 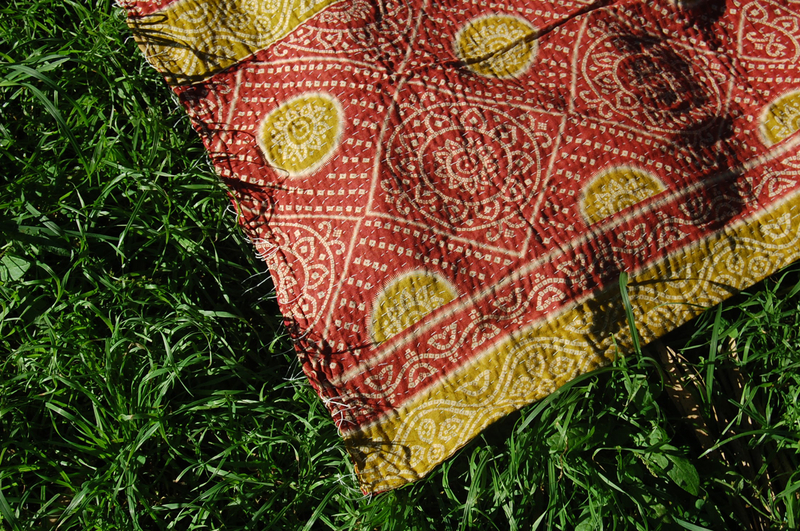 Choose a bright kantha with varied prints and patches and you’ve got yourself a baby-approved playmat that you can lie on your living room floor guaranteed to keep your bubs occupied while you catch up on that midday soapie. 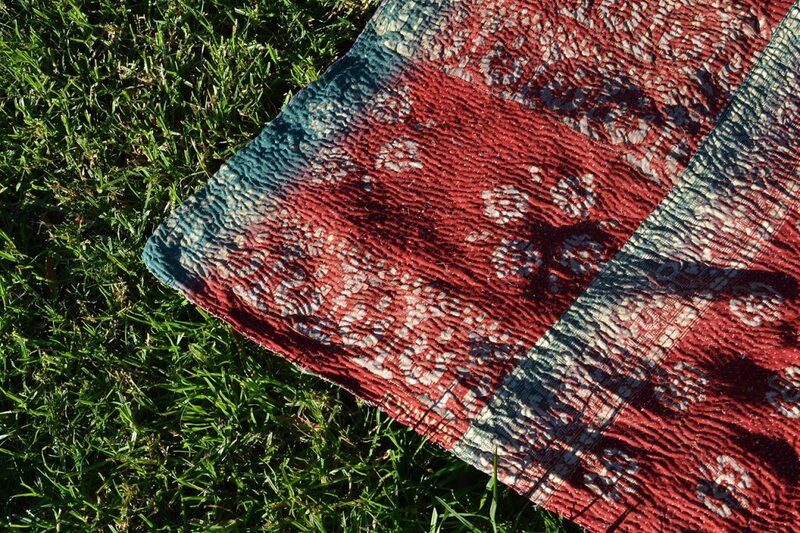 You can also use it as a blanket (folded over twice) or baby wrap! 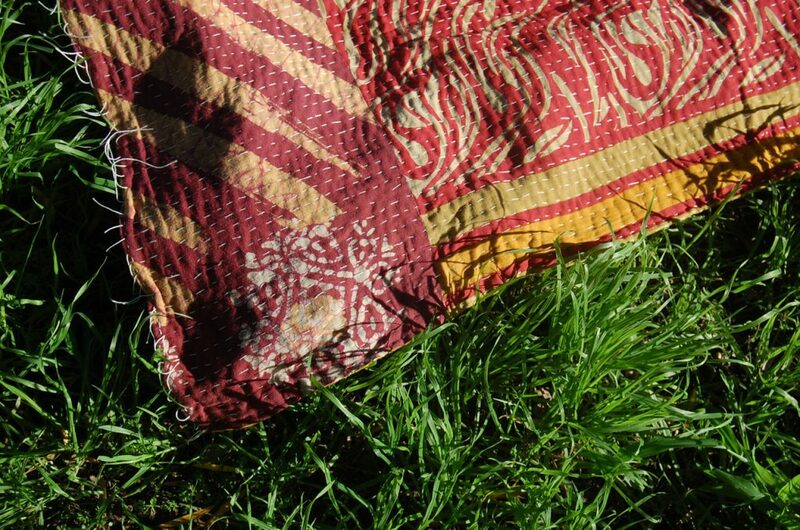 Whether used as a beach throw blanket to sit on, or a cover-up if you just want to chuck something on over your bikini, kanthas are the latest accessory. They provide whatever cover you need on-hand. Aren’t they just awesome? 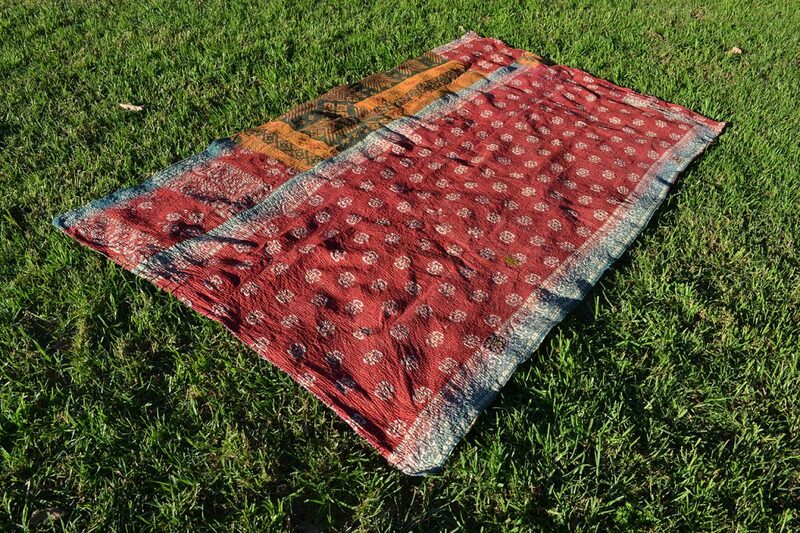 The thicker, heavier kantha quilts can be used as rugs! 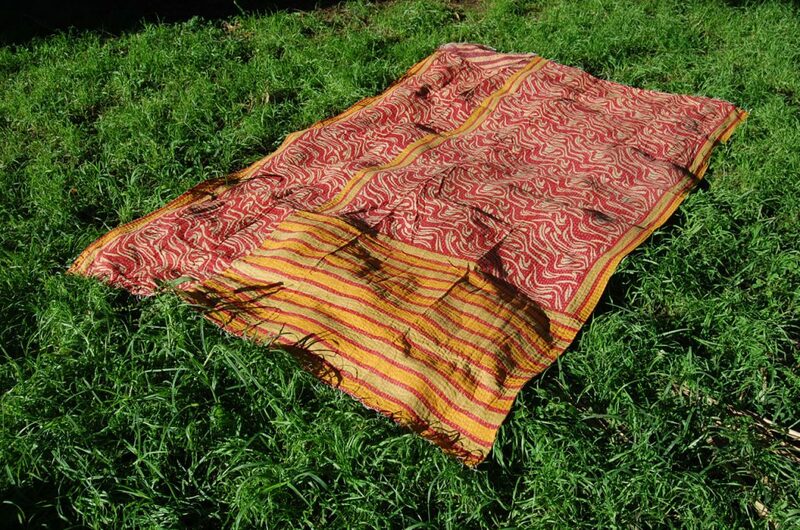 Perfect for the teepee or glamping experience, they are a great choice for covering the entire tent floor – easy, fun and pleasant to sit or lie on – pile up some cushions and chill! 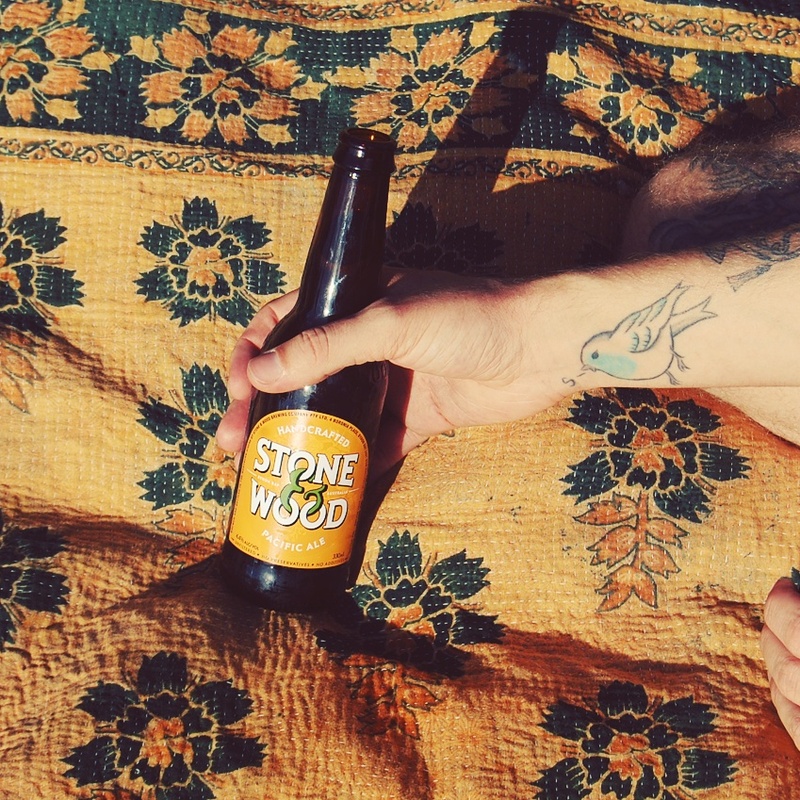 Bored of the usual foam yoga mats – feeling like changing things up a bit? 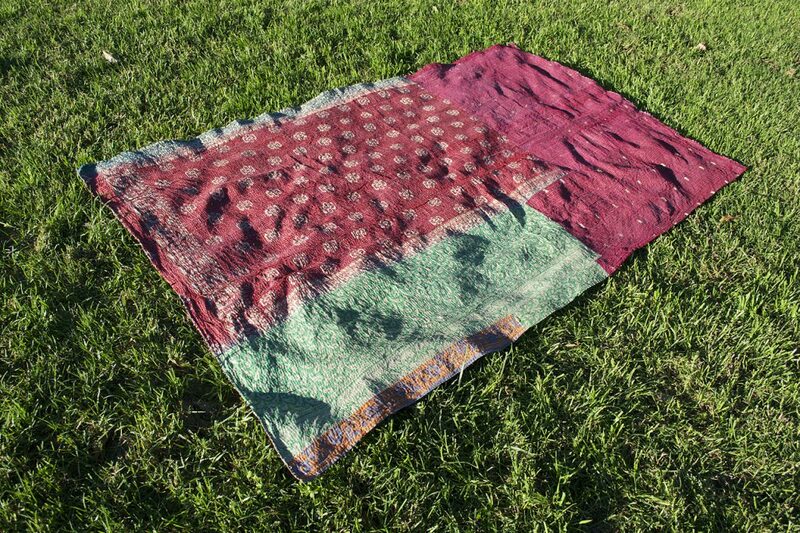 A folded kantha quilt that is fairly light-weight is ideal as an eco friendly yoga mat or yoga blanket. 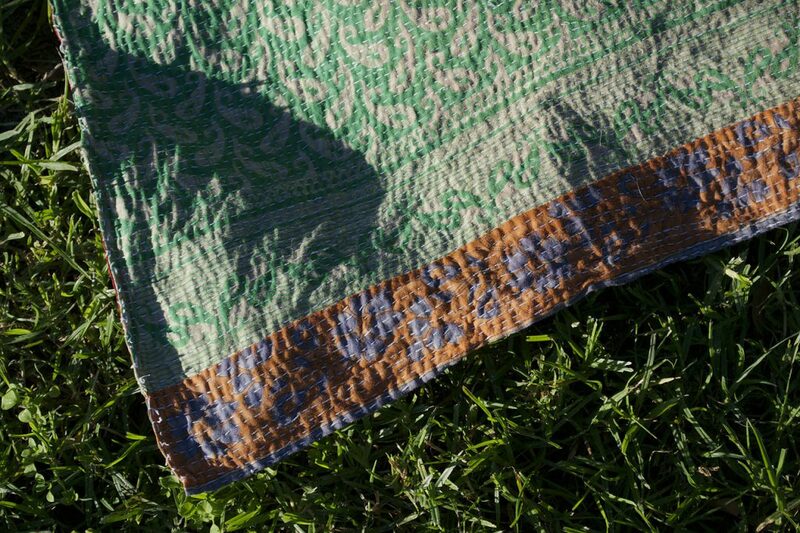 Because it’s layered cotton, it’s more hygienic and a more natural yoga mat than the typical foam yoga mats, and a lot more attractive as well. You can roll it up the same way or have it folded in your bag, and even use it for other things the same day – such as a picnic lunch!